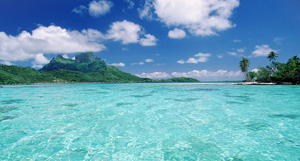 CharterSavvy Magazine is completely devoted to bareboat chartering AND IT'S FREE! 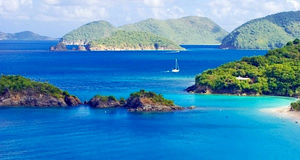 CharterSavvy is filled with interesting stories, great photography of bareboat chartering worldwide, insider tips on everything from itineraries to the best local pubs, gear to take and not-to-miss sights. 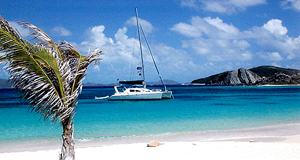 It's a must read for all bareboat charter guests! Beneteau will introduce it's latest concept in sailboat design this fall at the UA Sailboat Show in Annapolis, October 10 - 14. The Oceanis 38 offers a level of customization no other builder has ever offered before at this size. It is packed with lots of clever, stylish and fun ideas but best of all, the clients can choose the layout that works for them. As the clients' needs change over time, the boat is able to change and evolve with them by adding or removing elements. "The boat should fit its owner, not the other way around," says Beneteau America President Laurent Fabre. See the video. Contact us for more information and for an appointment to view the boat at the Annapolis Boat Show. 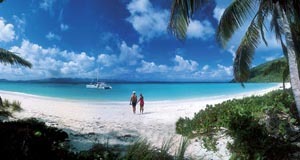 Press Release: Dream Yacht Charter with some very exciting news for the company this year. Sailonline and CatamaranGuru jointly decided to partner with them 2 years ago when DYC was still relatively unknown in the US market despite operating about 500 yachts and 35 worldwide bases for over 12 years. We really liked their fresh approach, which is transforming an industry that was asleep. Their quick-thinking management team, no-red tape attitude and their exceptional customer service has set them apart from their competition. With 6 different owner programs and 6 monohull and catamaran yacht brands, they give the sales team enough flexibility to adjust as needed to. We may now offer yacht ownership configurations to suit any buyer’s wishes and situation, not something the big corporations can do, setting Dream apart from all our corporate behemoth competitors. Read their press release below and the six different programs available to owners. Also ask us about the "cross-over program". 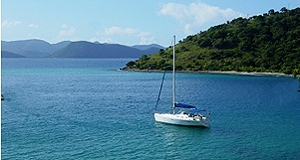 Contact us or call +1.917.331.7665 for more information about Yacht Management Programs. These boats - in limited quantity - are offered with a 5-year high guaranteed income program, 12 weeks of worldwide sailing per year and ZERO expenses for 5 years. We viewed the new Jeanneau Sun Odyssea 469 at the Oakland Boat Show in California in April. There is a lot of boat for the price and was nominated for European Yacht of the Year, all in all a nice boat. See the video here. This is a model of the first storm of the 2013 season developing in the Gulf of Mexico. Forecasters for the Atlantic expect 18 named storms, 9 hurricanes and 4 major hurricanes. 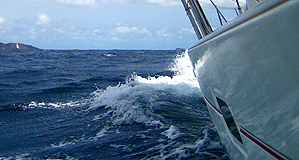 Here are some hurricane preparation tips from Catamaran Guru and from Cruising Compass. 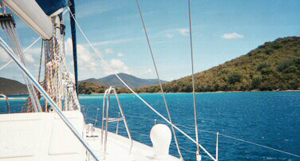 Most charter companies have a hurricane plan for their fleets and boat owners usually do not have bother with those details. However, we do recommend to find out what your charter company's hurricane plans are and that your insurance is in order. Increasingly, boat systems are becoming more sophisticated and require tighter control over manufacturer's maintenance schedules. Vessel Vanguard's purpose is to decrease the complexity of understanding and maintaining these systems and to make this process simple for optimal performance on the water and at the dock. Based on a specific boat model and equipment, VesselVanguard turns all operating manuals, maintenance schedules and schematics into an easy to use application and makes life easier for the owner. An added bonus: several well-known marine insurers have already agreed to reduce premiums 20%-25% for VesselVanguard subscribers.. Big names in the Industry like Beneteau, and Grand Banks have partnered with Vessel Vanguard to help simplify their owner's experience. 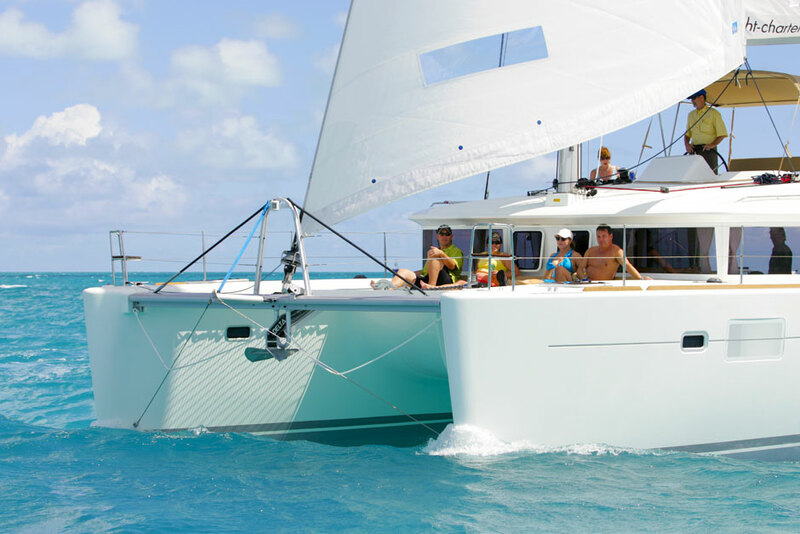 The Beneteau Oceanis 55 was awarded the NMMA 2013 Consumer Choice Award at the Strictly Sail Miami Show and we wholeheartedly agree with that choice. This stunning yacht with her avant-garde design has a sophisticated modern look, yet has a comfortable livabilty that makes her a perfect family yacht. Designed by Berret Racoupeau Yacht Design. 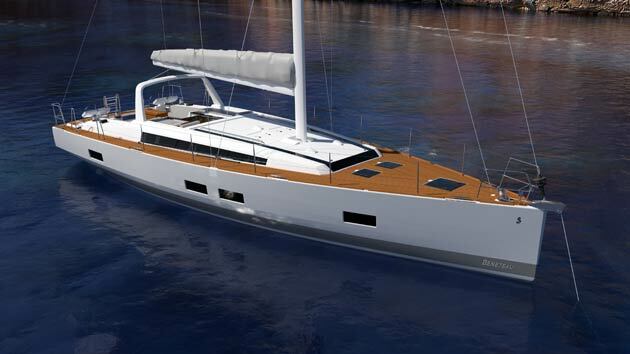 She features a mast set back to enhance balance and performance under sail. The chine extends the full length of the boat to increase speed while reducing the initial angle of heel. Large windows allow natural light to illuminate the interior living spaces. The Beneteau Oceanis 55 is available in 3, 4 or 5 cabin layout, each offering plenty of storage space. Take a Virtual Tour through the Oceanis 55. We have recently been introduced to NauticEd, the world's most advanced online sailing educators and their certifications are internationally recognized by most charter companies. These interactive multimedia online sailing courses from Nauticed is a great way to learn and if you want to learn to sail, you can earn the internationally recognized NauticEd sailing certification. 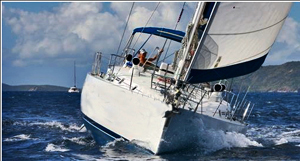 It is based on a proprietary algorithm analyzing real practical logged experience, completed online sailing courses and qualified practical instructor sign-off. The Director of Education, Grant Headfin is an enthusiastic, knowledgeable, world class sailor and he, as well as th rest of their team are eager to impart their knowledge. Please take a look at their website and try some of the free interactive courses. I'm sure you will enjoy it and learn a lot!